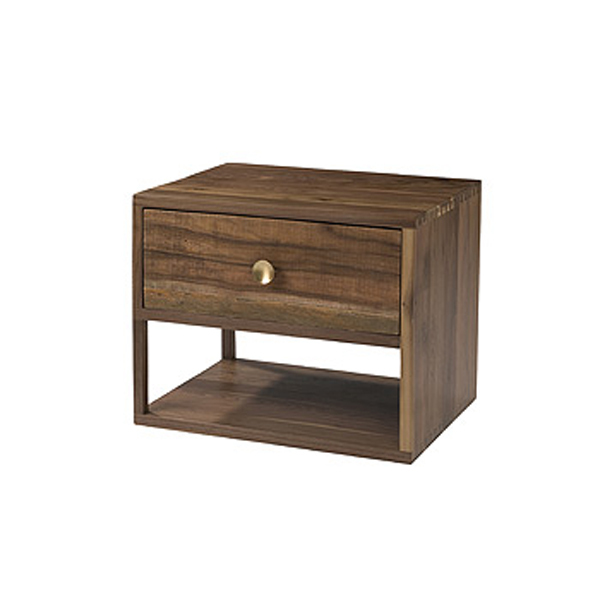 Match your new bed frame with the Ellen Nightstand. 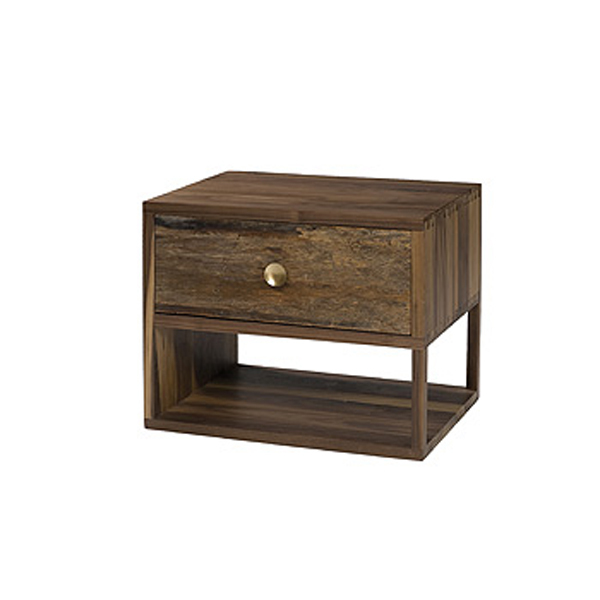 Handcrafted from the finest of exotic demolition hardwoods, this nightstand is made from wood that has been toughened by the outdoors, giving you a highly durable, long-lasting nightstand that is one-of-a-kind. With designs that have openings on either the left or right side, you’ll love how the Ellen has a display shelf and single drawer for storage and display space. This collection employs old-world, hand-crafted techniques using organic solid reclaimed South American hardwoods (demolitian hardwood) along with an array of materials such as white oak, black walnut, brass and blackened steel. The collage of patinas from the various species of wood to the steel panels and hardware lend the collection a sense of history and timelessness. Each piece is crafted by hand. No two piecesare exactly alike. Organics is one of a kind…the materials guarantee it. Organics - A new direction in conscious livable design. This item ships for FREE! It will ship directly to your door with one of our LTL shipping partners. The estimated time of delivery is 2-4 weeks. Indonesia makes the world's finest handmade furniture. All Tansu.net pieces are inspected in our San Diego, CA warehouse before finally being shipped to you. Though we offer a 1 year warranty, we expect this item to last for decades. Tansu.net warrants to you that your purchase will be free of meaningful defects in material and/or workmanship for 1 year from date of delivery. 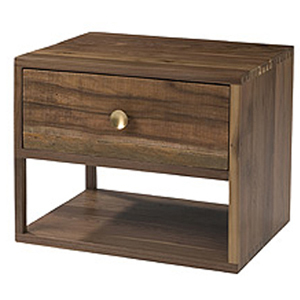 Most of our furniture is handmade and small imperfections exist and are not considered defects. Damage resulting from improper handling after merchandise is delivered or from exposure to weather or extreme conditions is not covered by the Tansu.net warranty. Warranty is subject to normal use under normal conditions. Whether to repair or replace will be at the sole discretion of Tansu.net. No other warranties, expressed or or implied will be honored beyond this paragraph.